Is your roof beginning to reach its life expectancy? As time goes on, shingles will eventually begin wear out and tear very easily. During a storm, your shingles could fly off, leaving your roof exposed and your home unprotected. If you have a metal roof, your roof may begin to rust and this could lead to corrosion, eventually leaving holes in your roof. These holes will make your building susceptible to water damage. 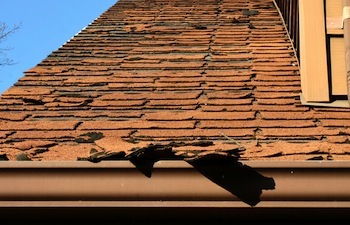 If you notice that your shingles have begun to look worn and have started to rip in different areas, you will need to discuss roof replacement with our professional roofing team. They can advise you if your roof may need a repair, or if a complete replacement is necessary. Whether your roof has been damaged due to a hail or wind storm, or you are updating the aesthetics of your home, you can trust All Storm Solutions to get the job done. We provide high quality roof replacements to residential and commercial properties and our reputation for highly detailed work and craftsmanship has made our company #1 in the repair industry. For more information on how we can replace your existing roof, give us a call and we will walk you through everything you need to know!